Chrome Engine is a complete game development framework for PC and Xbox 360 (PS3 support coming within few months) utilizing all modern game programming technologies and techniques that are vital for next-gen games creation. The PC engine is optimized for both DirectX 9 and DirectX 10 (Vista). Development is supported by many useful tools that make games creation process simple and effective, the most important being expanded ChromEd. This purely “What You See Is What You Get” editor gives artists and level designers virtually limitless control over how a level will play and allows rapid levels prototyping without touching a single line of code. It is an advanced tool essential for creation of game worlds. The latest fourth incarnation of the engine, evolved through over nine years of development to fit current games industry requirements best. Chrome Engine is a complete game development framework for PC and Xbox 360 (PS3 support coming within few months) utilizing all modern game programming technologies and techniques that are vital for next-gen games creation. The PC engine is optimized for both DirectX 9 and DirectX 10 (Vista). Anyway, Chrome engine is sweet, for those who don't know, the Chrome engine was used for games like...well, the Chrome series of games, and also Call of Juarez games. I really doubt that, couldn't find any references about connection between two engines on net and I've never heard of such connection. Whats the price of a license :/. perhapse if you havnt bought an engine before you are unqualified to know such uber dev sektritz. ill just wiki it...oh wait. but seriously yea, theres no way the modders are going to know the price. unless you tell them straight up. what game is that in those pics? and what the download about? what would i be downloading that is 1.14mb? this engine is what Project Reality us thinking of using for it's sequel. think they won it from the last moty compotition. The game in the pics is called warhound. I WANT IT FOR FREE((((((((((((((((I know it sounds very stupid but-plz MAKE an INDIE VERSION OF THIS !!! 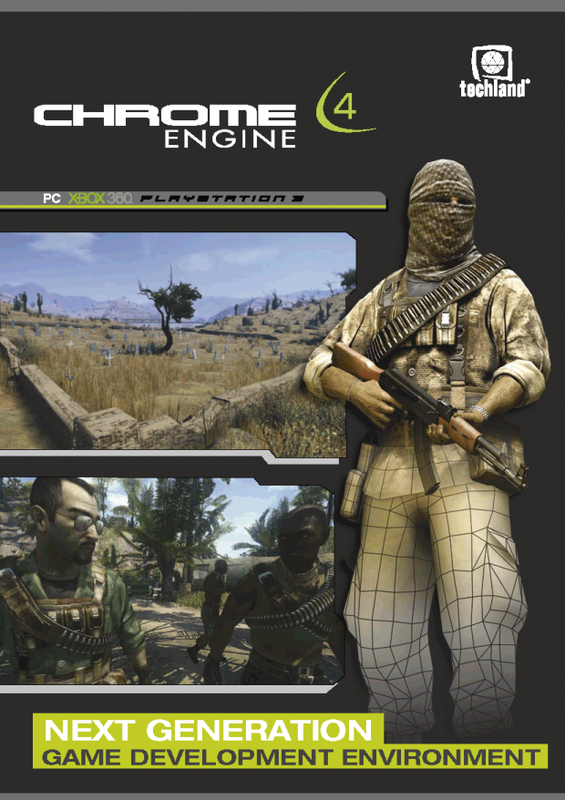 I'm taking a guess that the second game is Sniper: Ghost Warrior, which uses this engine.